Benin, 2003 Cinderella issue. 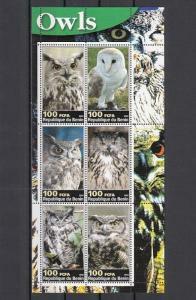 Owls sheet of 6. Condition: MINT NHBenin, 2003 Cinderella issue. Owls on a sheet of 6. Powered by Hip Turbo Lister The free listing tool. List your items fast and easy and manage your active items. Condition: MINT NHBenin, 2003 Cinderella issue. 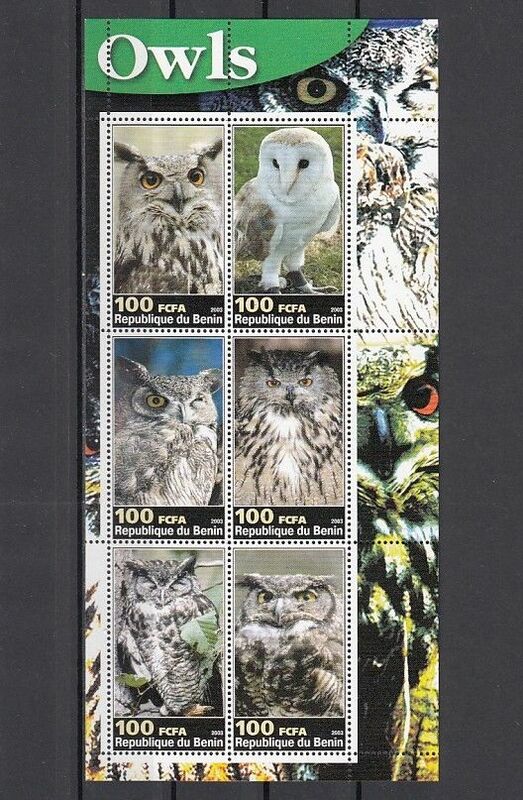 Owls on a sheet of 6. Sweden, Scott cat. 1137-1138. 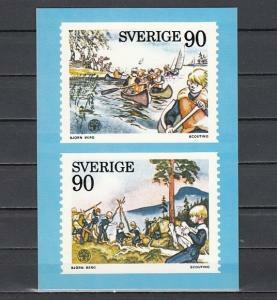 Scouting Agency Post Card. 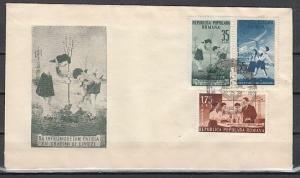 Romania, 1996 issue. 04-22/OCT/96. 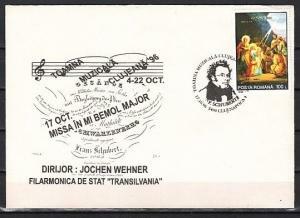 Composer Franz Schubert cancel, Cachet Cover. Brazil, Scott cat. 1730-1732. 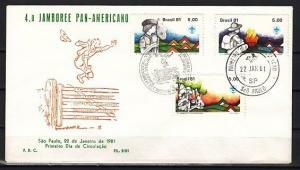 Pan American Scout Jamboree. #5 First day cover. Romania, Scott cat. 933-935. Pioneer`s Activities issue. First day Cover.